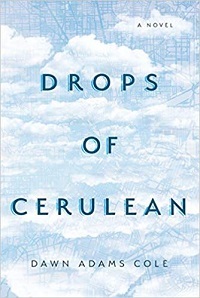 Dawn Adams Cole is stopping by today with an essay about the historical background to her new novel, Drops of Cerulean, which is published today. Set in Houston over seven decades in the 20th century and beyond, the novel is a family saga with a reincarnation theme. "A Love Letter to Houston"
"A love letter to Houston” is how I describe my novel, Drops of Cerulean. And true to form as any good love letter, memories and a spirit of hope permeate the family saga that spans 1930-2014, highlighting the city as both the setting and a prominent character in its own right. The 1930 start date served as an intentional nod to the city’s ethos. The Houston Metropolitan Research Center, an archival branch that focuses on the history of Houston and located in the Julia Ideson Building of the Houston Public Library, offered a wealth of resources, including newspaper articles, photographs, and letters relating to prominent city events. Although the novel begins in 1930 at the onset of the Great Depression, research confirmed Houston’s unique reaction to this tumultuous time. Before the crash, many Houstonians remained optimistic regarding their future, oil and the Port of Houston serving as indicators of the city’s resilience. Jesse Jones, prominent Houston businessman and philanthropist, brought together city leaders to ensure that no banks in Houston failed during the Great Depression. While the city was not unscathed from the financial crisis, the city was spared the full devastation. 1930 marked the opening of the Merchants and Manufacturer’s Building, now known as the University of Houston Downtown, a building that helped inspire the narrative. Originally planned as a multi-use, commercial building, it welcomed retail, offices, suites, clubs, restaurants, and lounges. Located at the meeting of White Oak Bayou and Buffalo Bayou with railroads bordering the first floor of the building, the structure was amenable to rail and water commerce. Records of the initial details are limited, but I found the original tenant list and real estate advertisements, which corroborated the aspirations for the building. I embraced the skeletal findings as an opportunity for creative freedom while keeping with the intended spirit – a place that embodied hopes and dreams of a generation, a place that failed in its original aspirations but experienced redemption, albeit decades later, as an educational institution. In this way, the building mirrors the reincarnated souls of the narrative in that it finds resolution and purpose in the next stage. The Niels Esperson Building appealed to me from the time I was a child frequenting downtown, the bronze color and cupola marking it from its peers. Mrs. Mellie Esperson’s story of boldly erecting the building in her late husband’s name provided a sharp contrast to Ilona’s story as a reticent soul tethered to the memory of her disgraced late husband. While there are an abundance of supporting articles in the archives, a tour of the private building served as the highlight of my research. Jano Nixon Kelley, Director of Marketing for Cameron Management, graciously indulged the request, which included a tour of Mellie Esperson’s private office suite, the floor redesign belonging to an architectural firm, the floor that was intended to serve as a private apartment for Mrs. Esperson, and a vacated 2-floor law office on the top floors. The stories shared and the personal experience of the tour itself supported and enriched the family saga. Confirming and learning more of the history of the city supported the lore and historical record of my family’s Houston roots, a history infused by the ethos of the city. My great-grandfather immigrated to Texas and founded a machine shop in East Houston in 1929, around the time Jesse Jones helped spare the city from full impact. Although I never met my great-grandfather, I grew up hearing stories of his work ethic and grit. I only knew the machine shop as its location a block from the interstate, but I recall my grandfather sharing his recollections of the time before the interstate when the streetcar ended in East Houston at Wayside. My family’s bold move to continue pursuing their dreams despite the times folded into the spirit of the Petrarkis and Doyle families, a sentiment not unusual for optimistic Houstonians of the time. Personally, this spirit struck a different chord from my paternal side of the family who were once well-to-do New Yorkers prior to the economic crash. 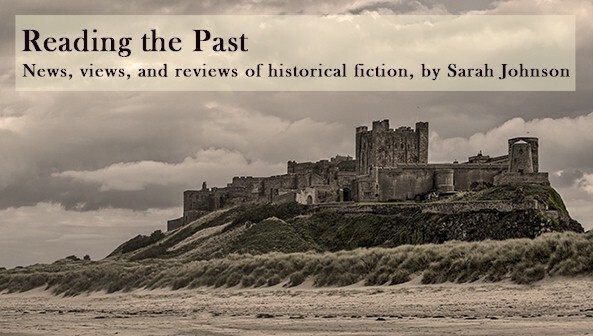 The intentional starting point of 1930 anchored the timeline, and while I knew the general course, struggles, and sentiments of the characters, I enjoyed researching historical and cultural influences to compliment the story. The Flood of 1935 offered a striking setting for Cadmus’ birth, a narrative that lent itself to his father being an active part of the delivery, which was unusual for the time. Researching popular songs during the early '60s provided inspiration to Ilona’s reincarnation as Delphina, and I was pleased with the connection that the Broadway hit Cats debuted around the time Delphina received her First Communion, her struggle on committing to a faith she doubted accented the rebirth she intuitively sensed. Similarly, the James Turrell exhibit in 2013 created the symbolic context for Robert’s passing and supported the idea that there is no death. While a part of me regards the cultural findings as serendipitous, I believe artistic pursuits mirror our innate, universal desire for hope and redemption. The search may take different forms in different times and different cultures, and perhaps there are periods when the drive is more pronounced. Connecting the dots between the cultural representations during the course of the narrative proved reaffirming and rewarding, and it fueled my belief in our interconnectedness. In “Love Letters,” an article featured in the Saturday Evening Post, Nina Sankovitch states, “The qualities of a good letter are also the qualities of a good relationship. Letters are the tangible manifestation of the singularity of our kinship, the importance of our shared experiences…” If Sankovitch’s thesis is a litmus test, then I hope my novel fits the bill. I believe Drops of Cerulean embodies the historical ethos of Houston, with the memories and sentiments of the characters a reflection of what we, as humans, continue to experience. Spanning the years 1930–2014, Drops of Cerulean (on-sale January 29, 2019; Greenleaf Book Group Press) chronicles the lives of Ilona, the daughter of a Greek restaurateur, who marries into a prominent Houston family; her son, Cadmus, who becomes a professor and then moves into a retirement home after his husband passes away; and Delphina, an anxiety-ridden woman with a mysterious recurring dream. Ilona and Cadmus have a falling out when Cadmus is a young man, and before they are able to reconcile, Ilona dies. Cadmus is plagued with guilt and feels responsible for the death of his mother. Two worlds collide when, years later, Delphina comes to understand that she had been Ilona, Cadmus's mother, in her previous life. Set in Houston and revolving around the city's ever-changing skyline, Drops of Cerulean is an amazing debut from a gifted writer. 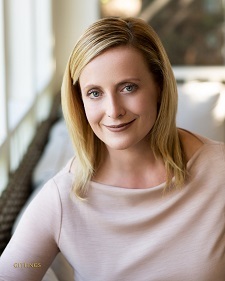 Dawn Adams Cole was born and raised in Houston. She received her BA from the University of St. Thomas and her MEd from Harvard University. She lives in The Heights with her husband, Burton, and her daughters, Caroline and Elizabeth.